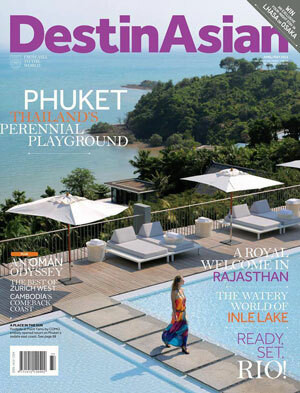 It’s great to have done another cover, this time I was lucky enough to be involved with the Desinasian cover April/May 2014 with photographer Tom Tavee. We had been assigned to shoot at the new resort Point Yamu. I was taking care of the fashion styling and sourcing, hair & make up for the beautiful Kat Felton. We shot the cover in one day and the weather was spectacular. Thanks a million from Cassie at Island Bliss Phuket who gave me free range of her wonderful collection. Poolside at Point Yamu by Como hotel in Phuket.